Come join us and fish one of the best kept secrets in the SE. 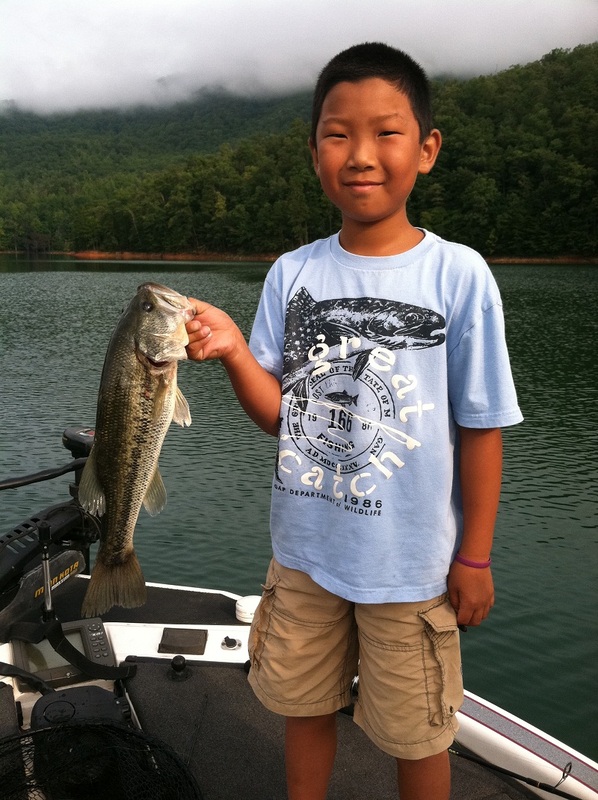 Fontana lake holds an amazing smallmouth fishery and 40 plus days are not uncommon. The lake provides 238 miles of rocky steep shoreline, bordering the Great Smokey National Park, which is ideal for the sought after bronze backs. Our state of the art equipment, Champion boats, and technology-driven approach make us one of the best-equipped guide services in the country. All our boats are tournament rigged with the hottest new lures and innovations. Known for our professionalism and finest guides in NC, no other guide service can compare with the fishing experience that Up-Close Outfitters provides. If you are after a trophy, our professional guides will have the equipment and lures to pursue your giant. If you prefer numbers, we can gear all of our attention to areas and techniques that will produce more fish. Up-Close Outfitters provides customized charters that leaves the customer with a new set of skills and memories for his or her next fishing adventure. There is no other guide service that pays attention to detail like Up-Close Outfitters. Your all inclusive day on the lake will include transportation, from Bryson City or other nearby cities, and 8 hours of fishing. Whether you prefer trolling, throwing spinning gear, casing with live bait, or fly fishing we are here to make sure your day ends with success.